I’ve decided to start yet another quilt! 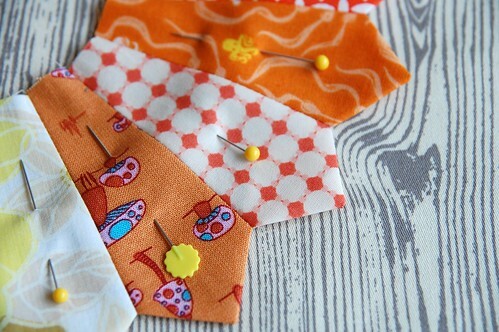 We’re doing an à la carte quilting series at the workroom. 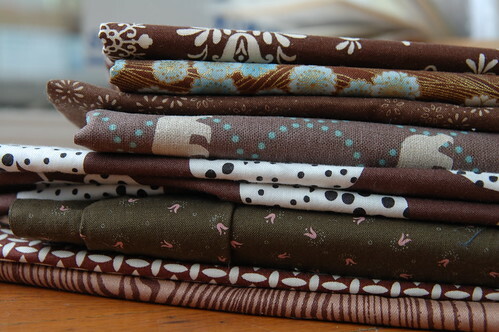 Since we’re learning a new block every month, I’m going to put all my blocks together and make another sampler quilt. The Dresden Plate was really fun to put together. I love all the orange petals that radiate from the centre circle. 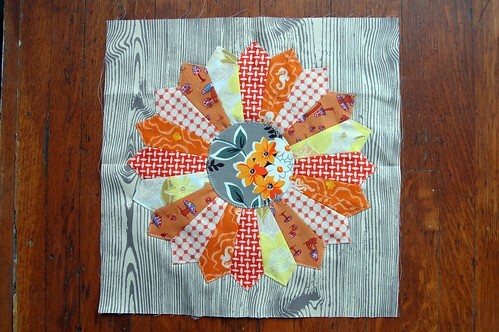 The fabric in the centre circle is from Denyse Schmidt’s Flea Market Fancy collection. 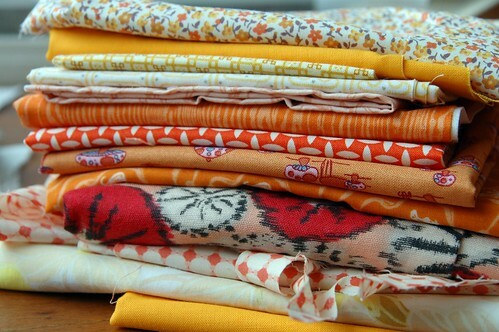 It was one of the first bolts of fabrics I bought for the store and is the colour inspiration for my new sampler – grey, orange and brown. It feels very cozy and fall-like. I’m pretty new to quilting, but it seems perfectly acceptable to have various quilts on the go at different stages of completion. Clearly, I am embracing this notion as there are now 1, 2, 3, 4, 5 (this one!) in progress over here. With this crisp breeze today, these colours are perfect; the palette of orange and grey against the faux bois is modern and retro all together. Schmidt’s fabric is the perfect centrepiece. thanks for this post..ive been wanting to do a dresden plate and seeing yours has gotten me to sift thru some fabric to pick my colors too! love it. gorgeous. stunning. i have yet to get even one quilt off the ground. 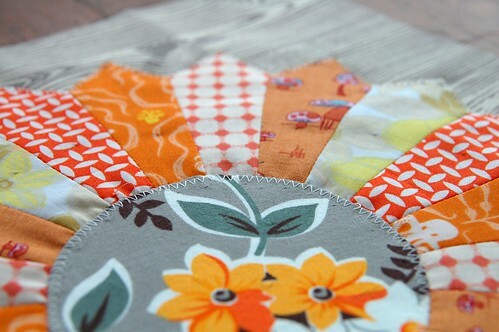 i like this block… and especially the background fabric! 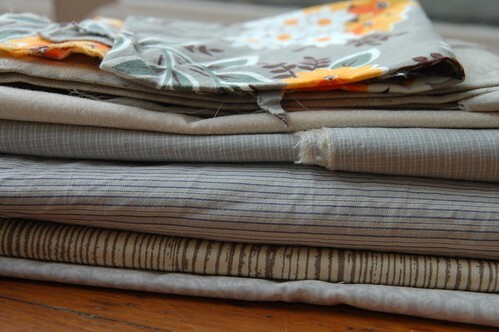 I just inherited a vintage suitcase full of handsewn quilt pieces. It looks like some of it may be this pattern. Good to know the name. Thanks!